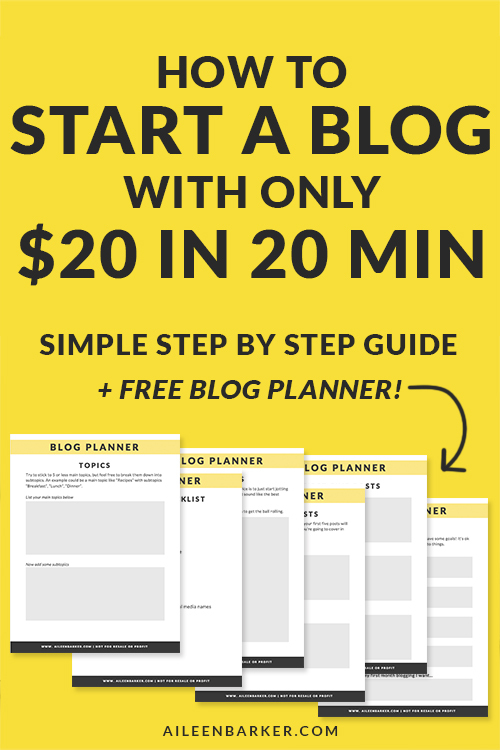 If you’re looking to start a blog the quick and cheap way, then keep reading! Blogging is such a passion of mine and I’ve been doing it since 2009. 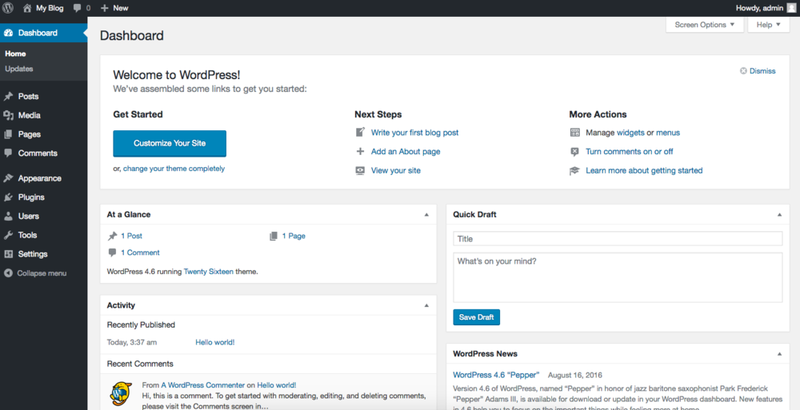 I’ve tried many different platforms, but one I really love for someone on a budget is the WordPress platform. 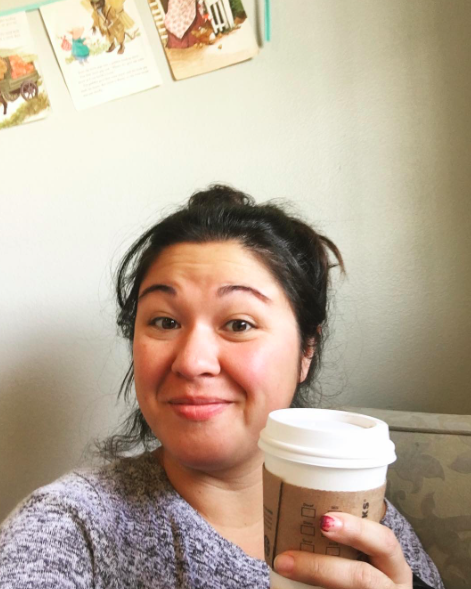 If you just follow along with this post I will walk you step by step through starting your blog in the next 20 minutes. 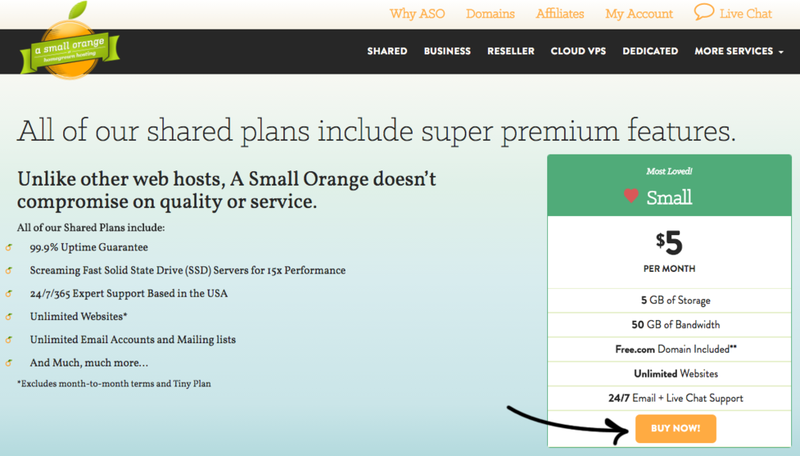 Click here to head to A Small Orange and click on the “Buy Now” button under the “Small” plan. There is a plan that is a little over a dollar cheaper, but you’re required to pay a year in advance so I recommend going with the “Small” package so you don’t have to pay it all up front right away. Choose a domain. This will be your web address. Mine is aileenbarker.com. If you’re stumped see if you might want to use your name or something related to your name. If you have a business, you should use your business name. I always recommend going with a .com instead of a .net or anything else because people will remember it. Once you have an idea type it in and then click “Check”. 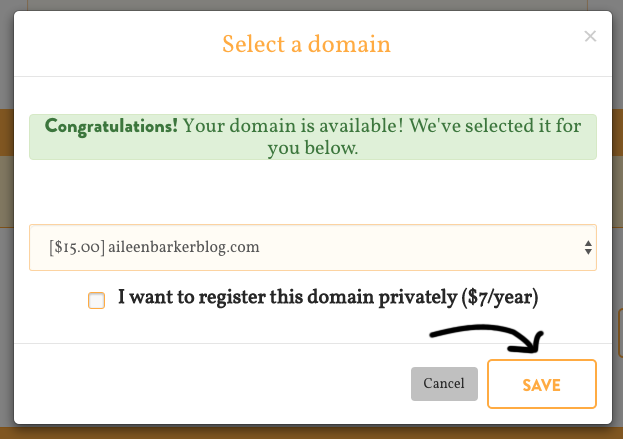 Once you find a domain that’s available this screen will pop up and you can click “Save” to select that as your domain. I do recommend spending the extra $7 to register your domain privately, but if you don’t right now you can always add that later. After you hit “Save” above you can scroll down and enter your billing information and then chose to pay via Credit Card or Paypal. After your billing information there will be a section with some upgrades. Skip those, you can add them later if you want. Then you want to move down to the bottom where you’ll see something like this, except with your own domain listed. 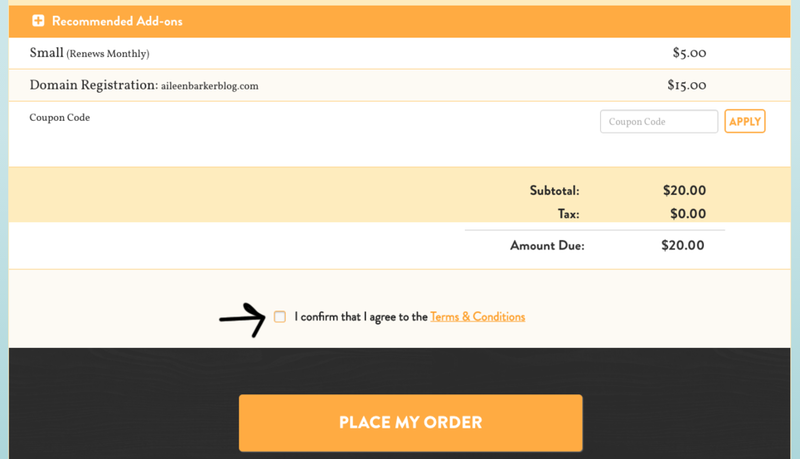 Your total should only be $20 and just make sure you click the box next to “I Confirm that I agree to the Terms & Conditions” and then click “Place My Order”. Next you’ll need to install WordPress. First, check your email for your login information. 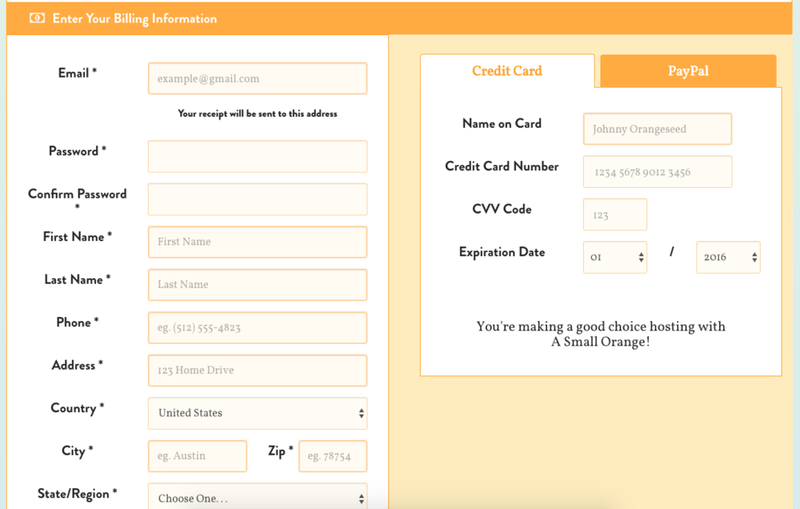 You’ll likely need to login at http://customers.asmallorange.com/ using the email address and password you chose when you signed up in step 1. 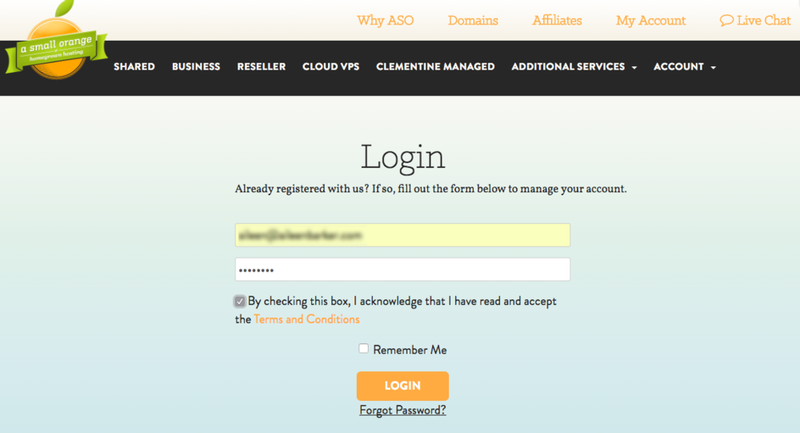 On the next page find and click the the “Login to Cpanel” button. Next you’ll want to scroll down near the bottom and under Scripts you’ll find the WordPress logo. Click it to go to the installation page. 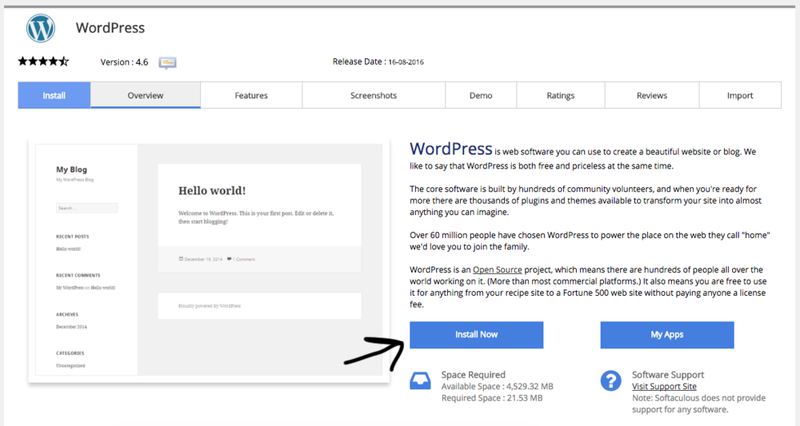 Now it’s time to install WordPress! I’ll go over all the sections one by one to make it easy for you. In Directory: this is the folder where wordpress will be installed. I recommend you it in a folder to keep things neat, but you can leave this blank if you want. Something like “wp” or “blog” would be fine. You can install it in a subdirectory and still have your blog pop up when people go to whateveryourdomainis.com, I’ll show you how at the end. Site Name: this will be the title of your website/blog. You can change this later so don’t stress about it too much. Admin Username: change it from the default “admin” to something like your name, etc. Admin Password: choose a password and take note of it, you’ll need it to log in. Admin Email: put your email here. It’s where you’ll get emails from your blog with your new installation information, info on comments, etc. Now just select a theme and click “Install”. You can change the theme later so don’t spend too much time on it right now. 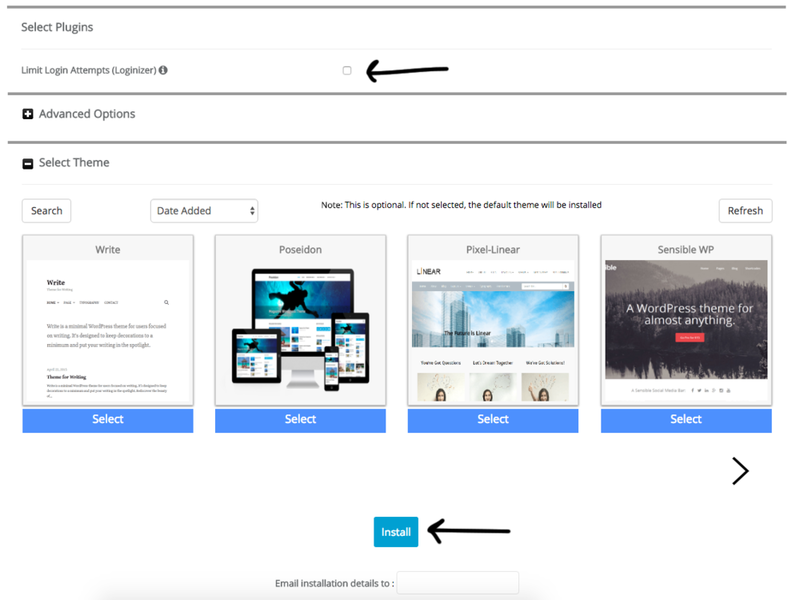 If you want your login info to be sent to an email address other than your admin email you can enter it at the bottom under the “Install” button. Congrats! You just installed WordPress. Woo woo! 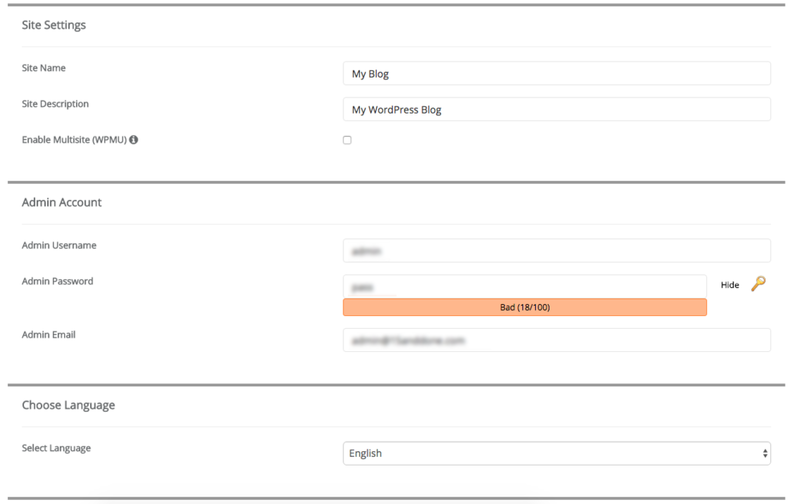 You should see the page below that confirms where WordPress was installed and your login URL (the “Administrative URL”). Easy, right? Once you log in you will arrive at your dashboard and it will look like this. It’s all pretty self explanatory, but can be overwhelming at first so take your time to browse around. Here you can set the URL to get to the blog. Under “WordPress Address” and “Site Address” you should see the URL where you installed WordPress. For my example I made a subdirectory with the name “demo” to house all of my WordPress files so they’d be neatly in one folder. But I want people to go to my main domain to get to the blog. To make it so people go to your main domain to get to your blog you can change the “Site Address(URL)”. Hit save and you’re good to go. If you ever feel stumped try google! 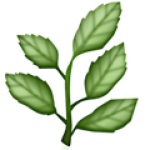 There are so many resources out there and one of the best one’s is WordPress.org. 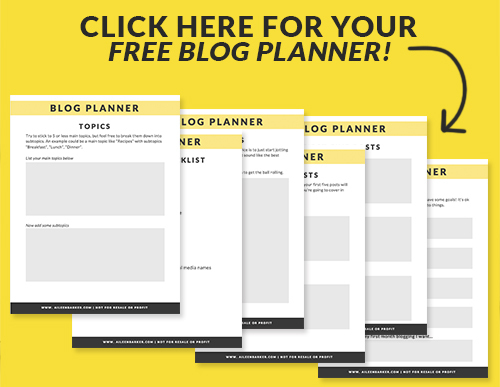 And because I want you to feel prepared and success for with your new blog, you can download this handy 6 page blog planner I created just for you. 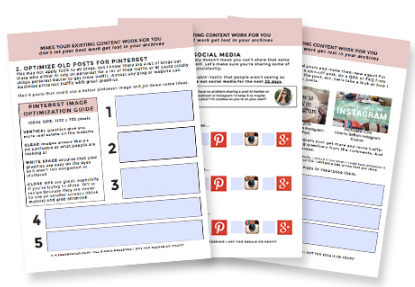 It’ll walk you through the beginning phases from deciding on topics to planning your first few posts.